Read Don Young windows reviews from our editors, contractors and homeowners who are familiar with their windows, customer service, warranty and much more. Don Young Windows are out of Houston and they make a very solid aluminum window. Aluminum windows are a good option for hot climates like Texas because they are very strong and sturdy (although not very energy efficient). Don Young also makes vinyl windows, although most contractors would say that their vinyl windows are just middle of the road. The only other concern when it comes to Don Young Windows is that they basically allow all contractors to sell their windows – which is either good or bad depending on your perspective. On the plus side, this increases the number of windows manufactured and sold, which keeps their pricing more competitive. On the down side, this takes away some of the quality controls that other companies can maintain by limiting the number of distributors that can sell their windows in a certain area. The bottom line when it comes to DYC is to make sure the installer knows the product, proper installation and is recommending a window that is the best for your situation and not their pocketbook. We’re in the Dallas area and can’t decide between some of the better vinyl window options like Sunrise and Simonton or whether we need to go with aluminum windows. I currently have a Don Young window from two years ago and it has been great. Any advice is appreciated. Don Young makes a great thermally-broken aluminum window – especially their single hung. If the windows are large, I’d go aluminum without a doubt. 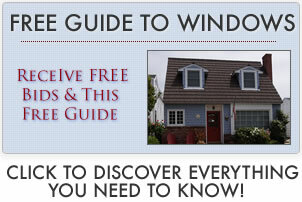 If they are smaller than say 36″ by 72″, then vinyl windows should certainly be in the mix. Some options in your area include Soft-Lite, Sunrise and Simonton – with the Simonton you are going to need to go with a sash reinforcement upgrade. The other thing about Simontons in Texas is that their products are sold though wholesalers, which means that anyone with a pick up truck can turn around and sell them to homeowners, regardless of whether they specialize in installing replacement windows.